Home / C-Life / Summer / What Happens to a Car without Coolant/Antifreeze? Coolant/antifreeze is the most important fluid under the bonnet, maintaining the temperature of the engine to prevent overheating. But what happens to a car when there’s no coolant in the system? What happens to an engine with no coolant? 1. Dashboard warning light or abnormal temperature gauge – The first sign of low coolant should be a dashboard warning light, or a rising temperature gauge. 2. Automatic engine cut-off – If you drive a modern car, it will be fitted with an automatic engine cut-off feature. This is designed to prevent damage when the engine starts to heat up due to lack of coolant. You won’t be able to drive the car further until it’s cooled down. 3. Damage to engine parts – If your car doesn’t have a cut-off feature and you continue driving, you’ll risk damaging parts of the engine that are running too hot. This may not only lead to pricey repair bills, but could result in permanent and irreparable damage. 4. Other symptoms of low or no coolant – Aside from the mechanical engine issues caused by low to no coolant, you could notice other problems such as billowing steam, a dangerously hot bonnet and no control over the interior heating system. if you notice any of these, pull over to try and prevent even more damage. 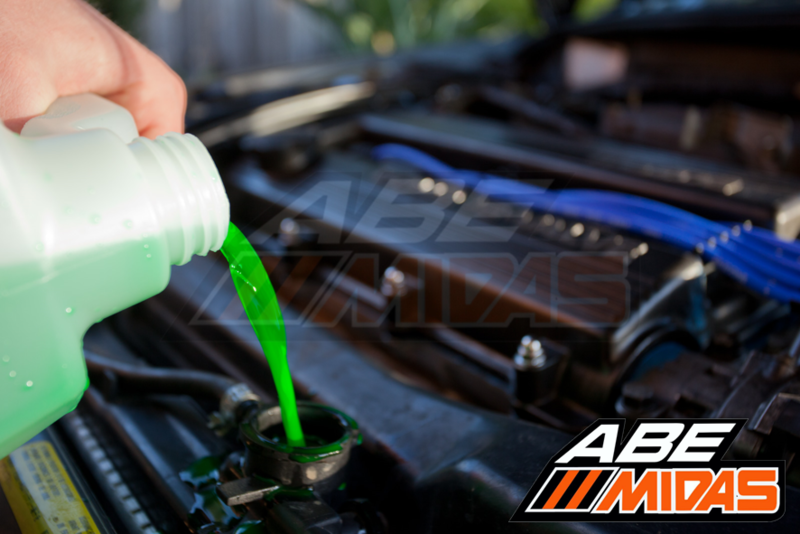 Running out of coolant/antifreeze won’t necessarily cause instant damage though, depending on your car. In modern, high-end cars, the engine control unit (ECU) often features a safe/limp-home mode, which reduces the risk of damage by firing cylinders in a different sequence. This means that cool air from the inlet is fed into one bank of cylinders at a time, allowing the other rack to cool slightly between firing. This gives the option of driving further even when the engine is overheating, which could be enough to get home or to a garage. As well as this, many new cars feature automatic cut-off, which is designed to protect the engine from heat damage. This uses the cooling system’s thermostat to kill power to the engine when the temperature reaches a certain point, and means that the car can’t be restarted until it has cooled down sufficiently. Before your car’s engine starts taking heat damage or cuts out, there are several warning signs that can alert you to a cooling system fault. It’s important to be able to recognise these signs as, depending on the age and condition your car, the engine may sustain damage before the dashboard warning light comes on. High-temperature gauge creeping towards the red – Drive your car for long enough, and you’ll become familiar with where the temperature gauge should sit when everything’s ok. If the needle begins to creep towards the red, this is your first indicator that there’s something wrong with the cooling system. If you see the gauge move, pull over and pop the bonnet. This will not only cool the engine before it sustains damage, but will allow you to begin diagnosing the problem – whether it’s something simple like a leaf blocking the radiator air intake or a serious coolant leak. Heater not working or blowing constant hot air – Your car’s heater uses the same residual heat which is collected from the engine by the cooling system. So, in the event of a fault, you may notice things going wrong with the internal heating system. This can either be a complete lack of heat or a constant flow of hot air (even on cold); either way, it won’t be pleasant, and could be warning you about a larger problem beneath the bonnet. Poor fuel economy – When your car engine runs at the right temperature, fuel can burn efficiently keeping consumption low. As the engine temperature changes, fuel can’t burn as effectively, increasing emissions from the exhaust. If you notice a dip in recorded MPG, check your coolant level and watch the temperature gauge for signs of overheating. Coolant dashboard light – The engine coolant light normally appears as a thermometer with a series of wavy lines next to it, illuminated in red. This shows that the engine has reached its temperature limit, and you should pull over. Normally, a low coolant level is caused by a leak, so you should try to locate its source. If it’s only small, you may be able to refill the reservoir and continue driving to a safe location without losing much fluid. Previous post: How Can the Heat Affect Your Engine Oil? Next post: Why Cars Overheat & What To Do About It. Practical Tips.